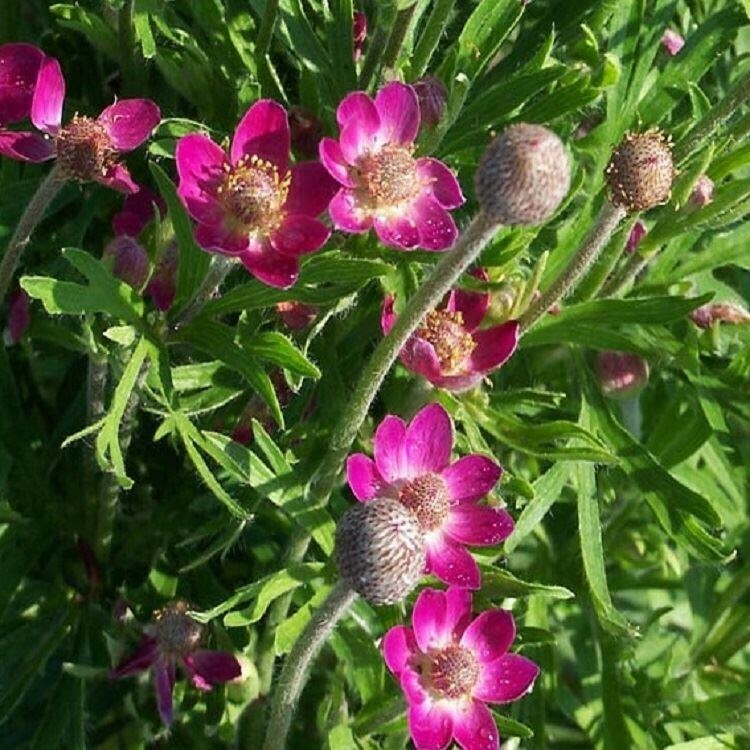 Anemone multifide 'Rubra' is a small mound forming herbaceous perennial with attractive finely divided leaves. 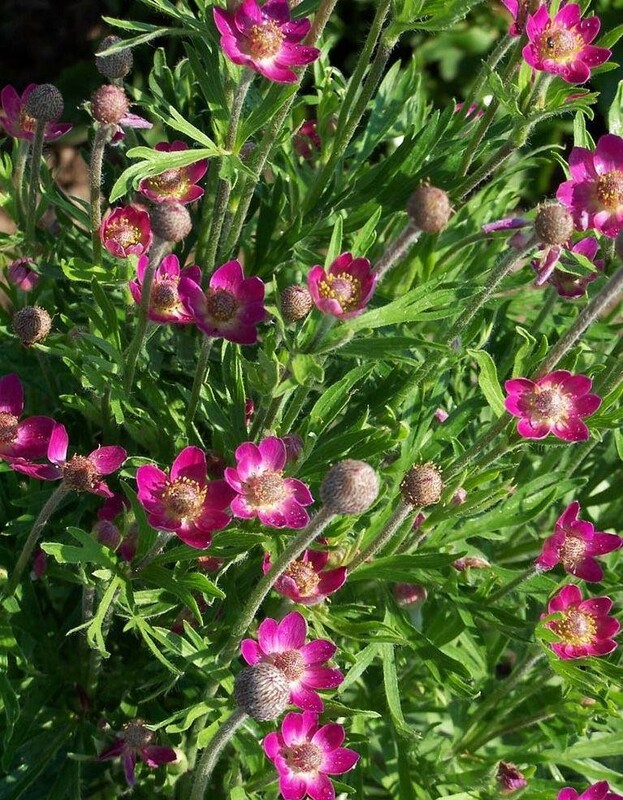 In late spring to early summer, it bears dark rose-pink, cup-shaped flowers with yellow stamens, followed by fluffy seedheads. Supplied in approx 1 litre containers.